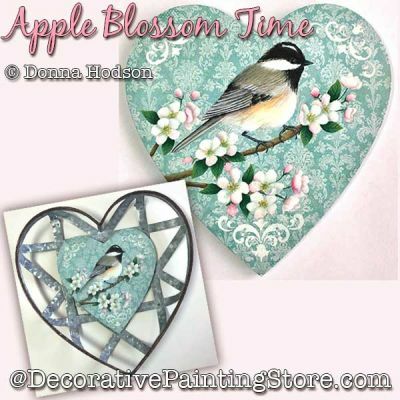 The 7” heart shaped board is painted with scrapbook paper attached. The pattern can be adapted to other shapes and sizes. Drawings included for 7-1/4", 6-1/2", and 6" hearts. The pattern includes complete directions, step by step illustrations, photos and line drawing.